So, this idea of bad hiring, we all as business owners need to hire whether it’s in a marketing department or in general. At some point in life even if we are going to hire someone to do all our hiring for us. So, a friend of mine asked me if I wouldn’t mind doing a podcast giving advise on what mistakes owners make when hiring and how to avoid them so here goes. Number one — avoid bad advertising. Quite often if we want to hire a specialist, we just put it out there. For example — say you want to hire a marketing assistant. Your headline will be, “marketing assistant: and then it will be very generic. Most people’s adverts if they place at all, local paper, online or whatever are so generic. It’s ridiculous so it’s just unimaginative. Now, I just made that up, I’m not suggesting that’s a great title but I know for us it’s made a huge difference when we started being dynamic with the title or at descriptions for the adverts, even the details. By the way, be truthful. Obviously don’t put in the ad anything about their expectations and what they expect. Then if sometimes you will have things that are not as expected and then you won’t actually get a good hire and that’s what it’s all about. So, be truthful but be imaginative. Now, we are business owners. We are expected to be experts at everything. Everyone wants to know how to do stuff and they may ask as to how that is going to be done. We’ve had to learn from scratch so acknowledge that — even if you are not an expert in HR. Acknowledge that you are not an expert at interviewing either learn how to do it by looking up online, it’s free how to interview well. Look up terms such as how to conduct a better interview,etc. You’ll be amazed at what Google will bring up for you for free. What we tend to do in an interview we’re nervous and we waffle. We want them to want to work for us so we generally spend ages describing how wonderful the company is. How wonderful is to be here and all that without going the other way. When in actual fact, when we’re interviewing we are not suppose to be making it such that they want to work here and they want to make up stuff just to let you hear what you want to here or what they think you want to hear. We want to grill them, we are going to invest not only time a lot of money in this person and the training. In some countries, very, very difficult to fire people or to let them go of light term. So get it right, grill them, ask them questions, specific. Right down some stuff in advance, ask them if this happened what would you do? When you’re at home, when you’re surfing, if you’re a market looking for someone specific, when you’re at home when you surf the internet, what are your favorite websites and tell me why? Tell me what you like about them? Yeah, you get my jist. Number three — not following up on background checks references. We’re busy, we’ve got lots to do so it’s easy to assume that if they are going to give someone as a reference that person if you wrote to them is going to give them a good reference. Why would anyone give a name and address who would not give them a good reference. Well, people they sometimes are not that smart or the other person can give cryptic clues in that reference as to what that person is really like and that’s what you’re trying to get. Follow up references, and make that a habit. You will be amaze what we found out on how many have stopped us hiring someone who were going to hire down to the references that they gave, amazing. Being desperate to hire. Generally, we hire when we, in a small business when we can no longer cope or when something a big contract hits then we suddenly needs someone. We can’t do all that work so we are desperate. Therefore, we quite often, if we have three people apply and they are not great we better take that one because they are the best of the bunch. Just let them go, just let them go. Number four Put another advert out. There are plenty of people who want jobs. Reword your advert if you didn’t get the best type of people the first time around. Put it in another place, ask around, etc. etc. Do not be desperate, you will regret it, seriously. Hire the people you wanna hire. Number five — hiring people like us. So, when we were interviewing some people just appeal to us because they’re just like us and we hire them because that’s going to appeal to us quite obviously but that’s not good. We do not want clones. We want people to compliment our skills. They are good at something, we want someone who’s good at the things we are not good at. So, if we’re good at organizing, we want someone who is not an organizer. That’s not going to work out. Number six –expecting them to be self starters and fast learners or self learners. So, we hire a marketing person they have some skills or some experience in marketing so we think great, get on with that, there you go but no they are going to bring bad habits. You want them to do the job you had in your mind that you are hiring for. You want it done in a way you want it doing. That means I’m very sorry, you will have to train them. Now, training does not mean sitting with them all day but put aside 30 minutes or one hour every single day. It does not have to be from you, it might be from our colleague from someone else. Train them and do not skimp on that because you will be wasting your money and time later on. Just get it done, get it done. It works, we spend years with any mess. That’s it. That’s just six tips. Follow that, seriously you’ll have a remarkable uptake in your success. Anyway, today is Thursday, and that means it is time for a drive time podcast and today is actually from Rory Vaden. 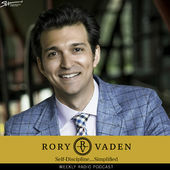 It’s called the Rory Vaden Show however in a last few weeks he changed the name to be the Daily Discipline podcast but if you look at the Rory Vaden Show you’ll still get to it. He is sharp, he is witty, he is on the balll, he knows what he is doing and he’s been around and he looks ridiculously young which is quite annoying to me but he’s good. Anyway, that’s it for to day. I hope you learned something, come back tomorrow. Tomorrow is the weekend challenge you can learn some more. Which of these mistakes do you need to correct?